I'm definitely feeling the lights and brights and the trend towards simplicity this spring! Always with a weird twist though - just for some fun! This bizarre little hand necklace would be perfect for that. I love the small details that make an outfit unique, like a simple necklace or ring, or a small embroidered patch on a shirt that is otherwise super basic. 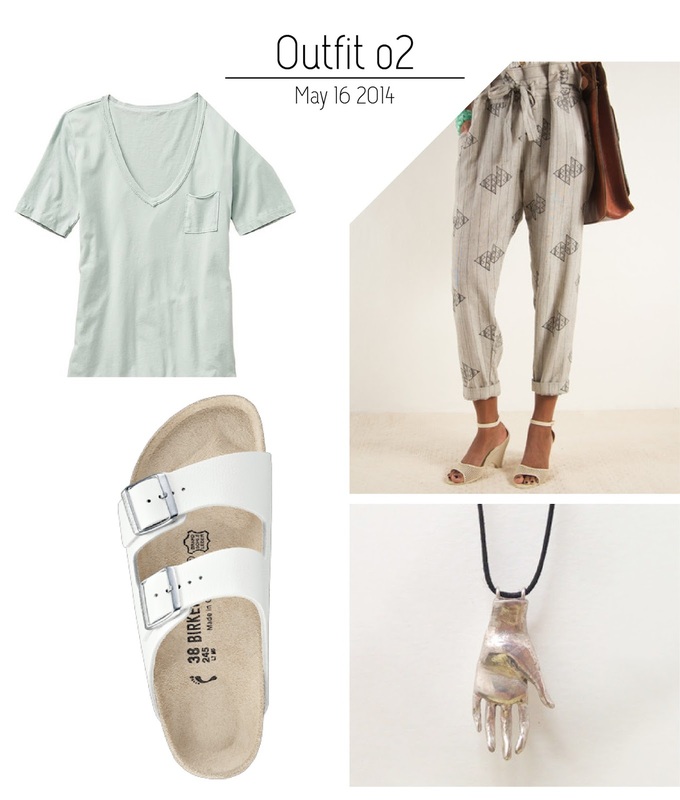 I am also dying for a pair of white birks, I think I might splurge on a pair when I get back home to Canada. Less than 3 weeks to go!